We know that these machines are the beating heart of your business. That's why we use all our knowledge to ensure they run smoothly and efficiently every day. We understand that your business can't afford downtime. Our belts eliminate off-tracking and slippage, and are durable with a longer service life. 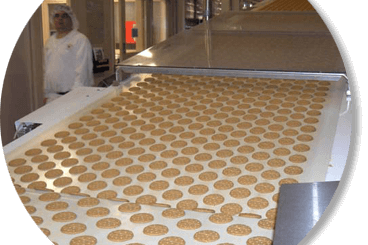 As experts in the food conveyor belting industry, we are skilled in supplying and maintaining the appropriate belt solutions for sticky masses. With our experienced and skilled personnel, Fogarty Belting have the depth of technical knowledge required to solve even the most complex of your belting problems. We produce a wide range of both thermoplastic and thermoset materials that meet even the most stringent industry standards, both for direct contact as well as for packed product conveying. For the food industry, we manufacture belts for use with high or low temperatures with excellent resistance to oils and fats and superb release characteristics for multiple markets. Tough conditions call for tough , hard wearing belts. Our range of belting offers heavy duty solutions to the tough demands of the recycling industry. 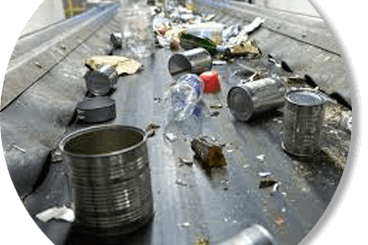 We can provide durable pvc, pvg and rubber belting that can stand up to the harsh environment of the recycling industry. 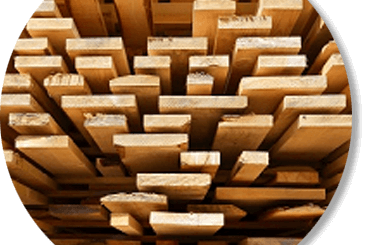 We develop a complete range of products for the wood industry enabling our customers to reduce changeover time and maintenance needs. Results are less downtime, increased productivity and reduced costs. Products that are part of our range for this industry include: QSP 105 press for easy and quick thermoplastic, splicing, ZipLink products for easy and quick plastic mechanical splices. Fogarty Belting has been serving the conveyor belting needs of Irish industry for over 45 years. We supply all types of belting, endless or open ended depending on customers requirements and we also provide an on-site vulcanising and joining service. At Fogarty Belting we pride ourselves on developing and retaining good staff. Our dedicated team always endeavour to provide the highest level of service to ensure total customer satisfaction.